Biotin is a water-soluble B vitamin that can be found in foods such as oatmeal, legumes and soy. Biotin helps to maintain healthy skin. ** Biotin also plays a role in supporting healthy hair as well as healthy nails. 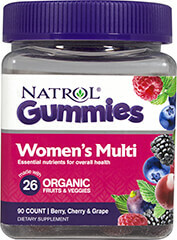 ** Because water-soluble vitamins are not stored in the body, they should be replenished daily.